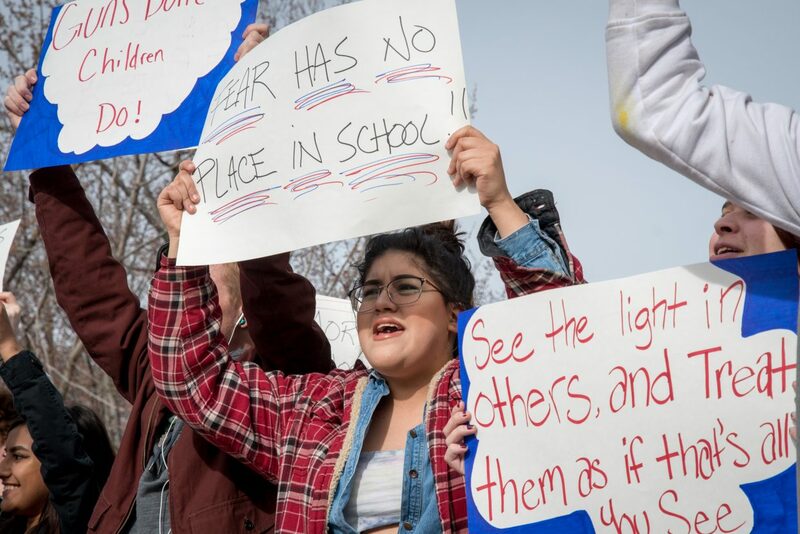 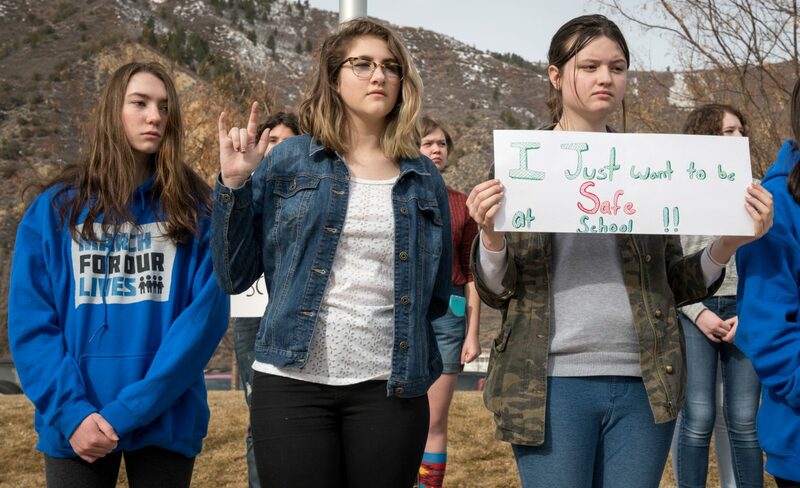 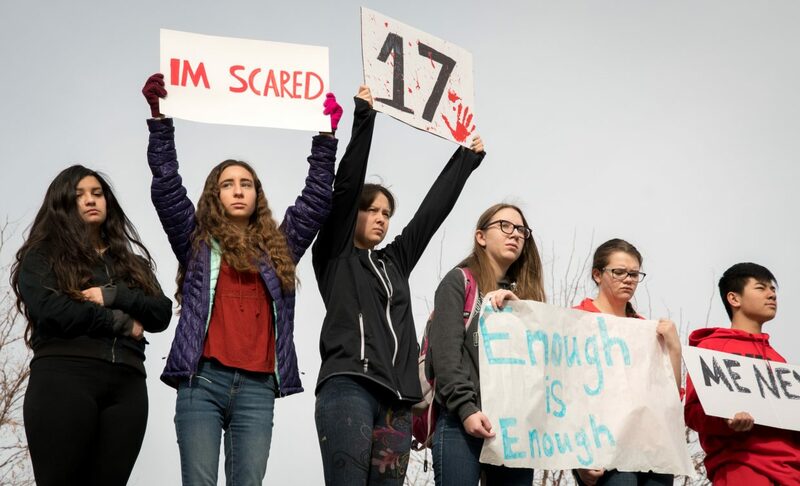 Yampah Mountain High School students take part in the nationwide walkout on the morning of March 14. 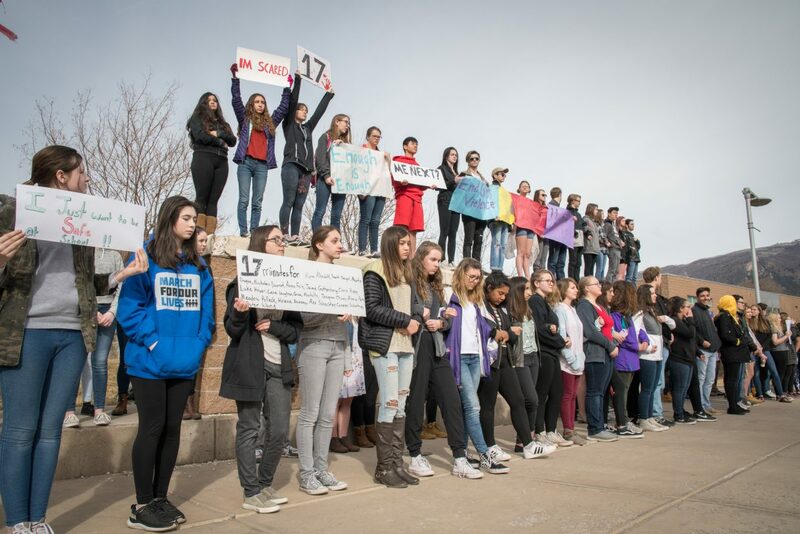 They held signs and chanted for an end to gun violence. 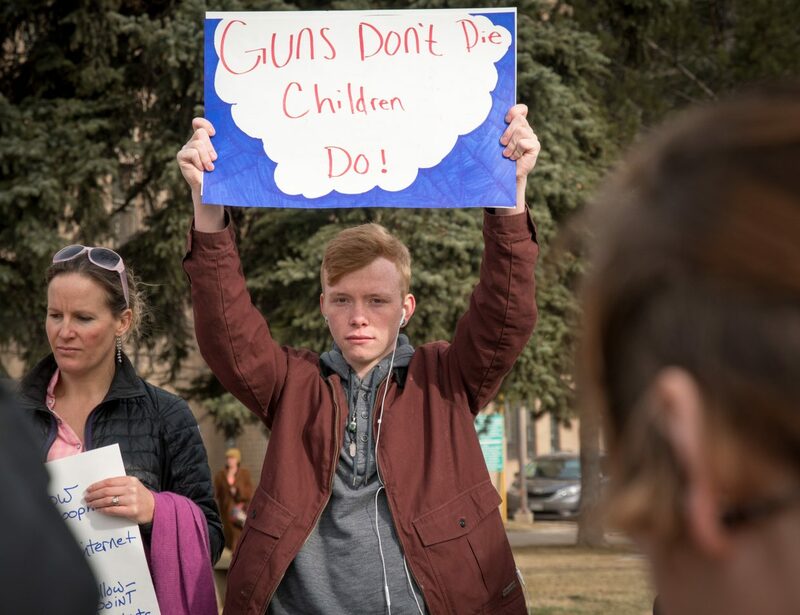 Yampah Mountain High School junior Joey Davidson takes part in the nationwide walkout on Wednesday morning near the Garfield County Courthouse in Glenwood Springs. 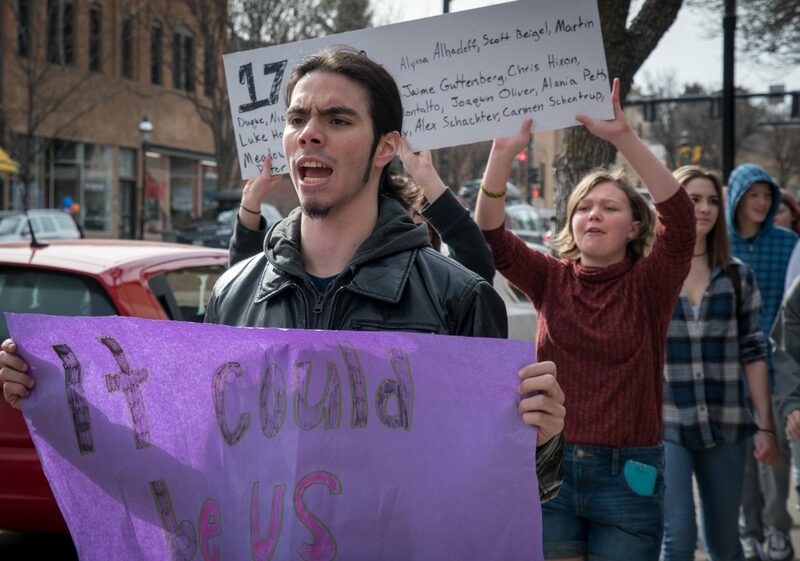 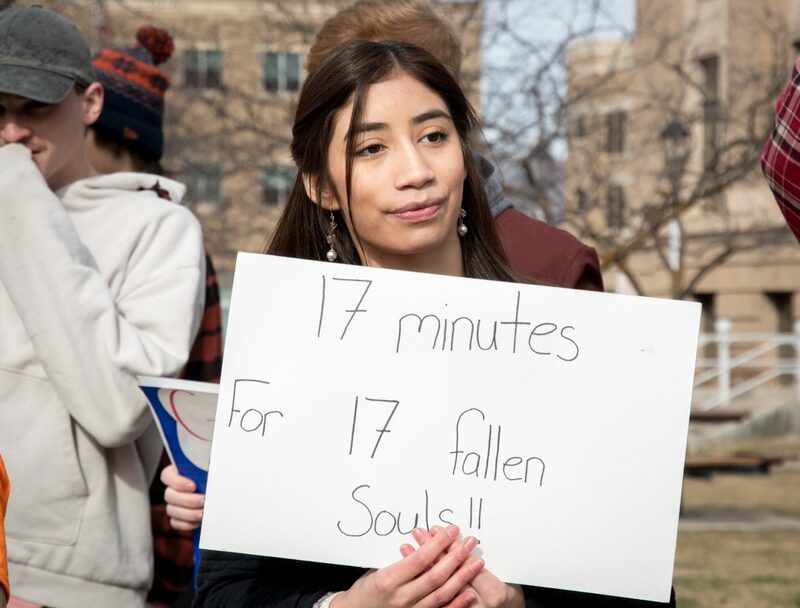 Yampah Mountain High School senior Emily Hernandez takes part in the nationwide walkout on Wednesday morning in front of the Garfield County Courthouse in Glenwood Springs. 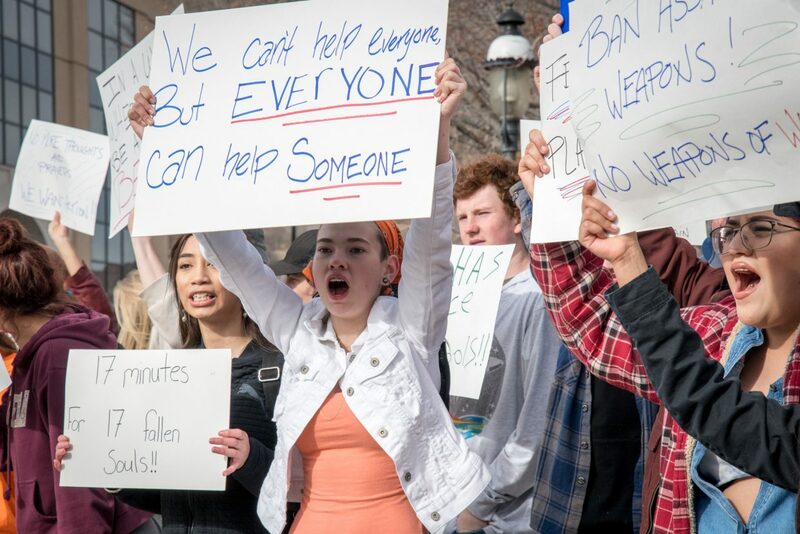 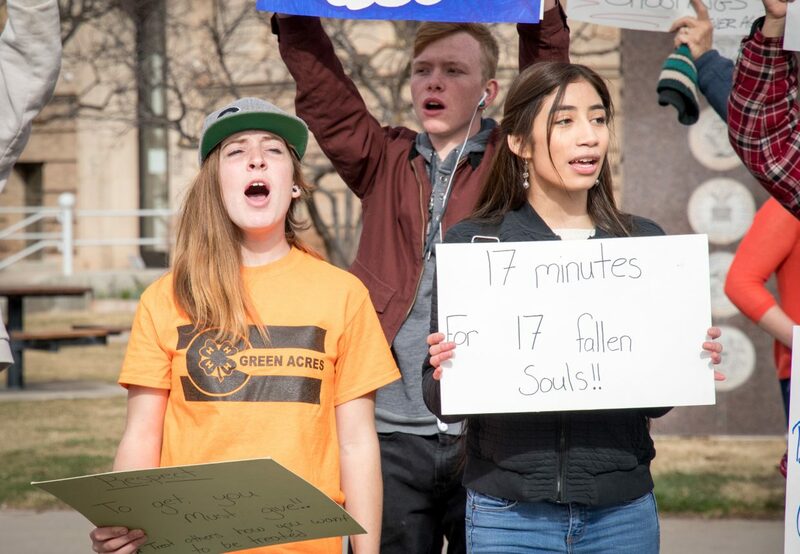 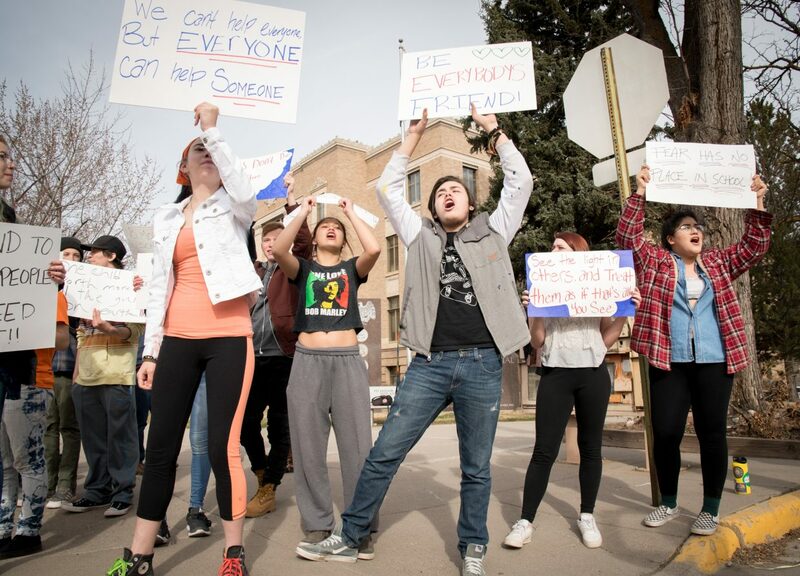 Yampah Mountain High School students Jessica Lee (orange), Emily Hernandez and Joey Davidson (back) take part in the nationwide walkout on Wednesday morning near the Garfield County Courthouse in Glenwood Springs. 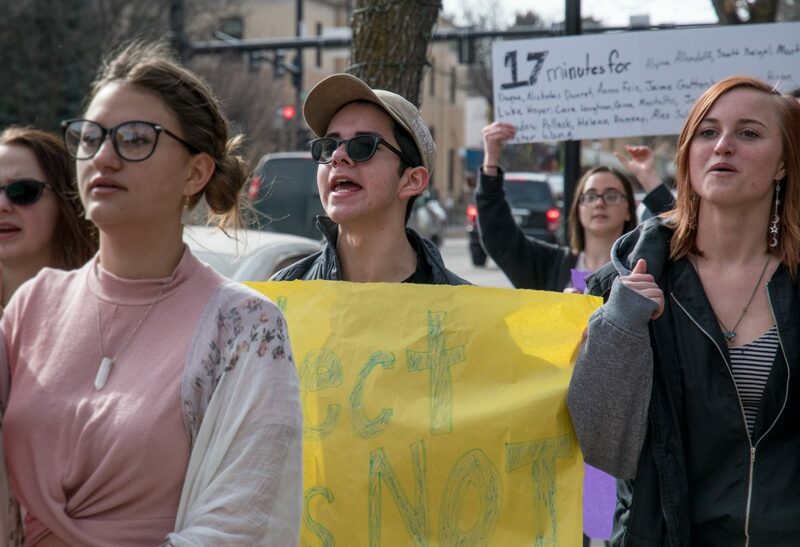 Glenwood Springs High School students take part in the nationwide walkout on Wednesday morning. 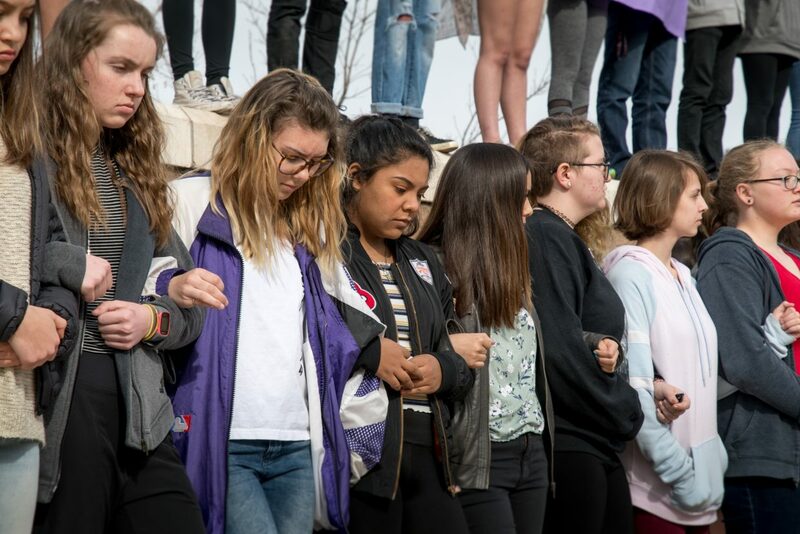 Students recognized the 17 victims killed the Marjory Stoneman Douglas High School shooting in Parkland, Florida on Feb. 14 with 17 minutes of silence. 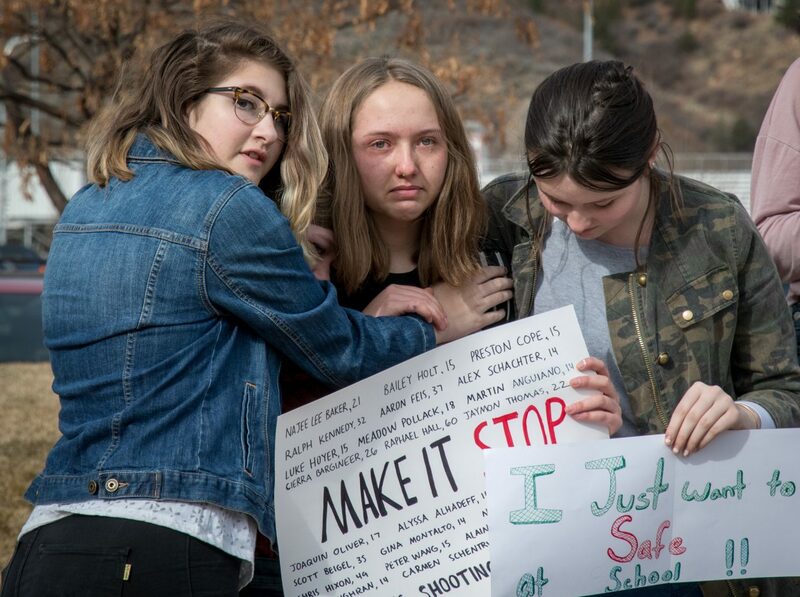 Glenwood Springs High School students Kate Malloy and Grace Oliver comfort a fellow classmate during the 17 minutes of silence and walkout honoring the victims of the Stoneman Douglas High School shooting on Feb. 14. 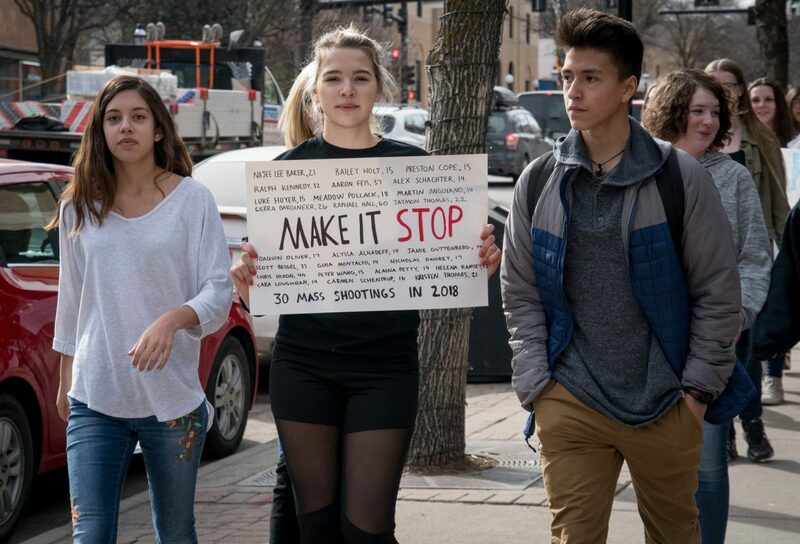 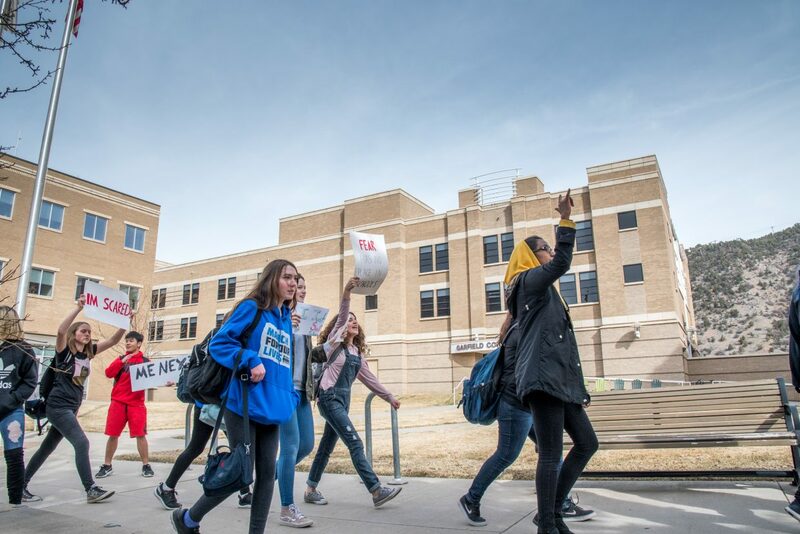 Glenwood Springs High School students walk to the Garfield County Courthouse with signs during the nationwide walkout on Wednesday morning. 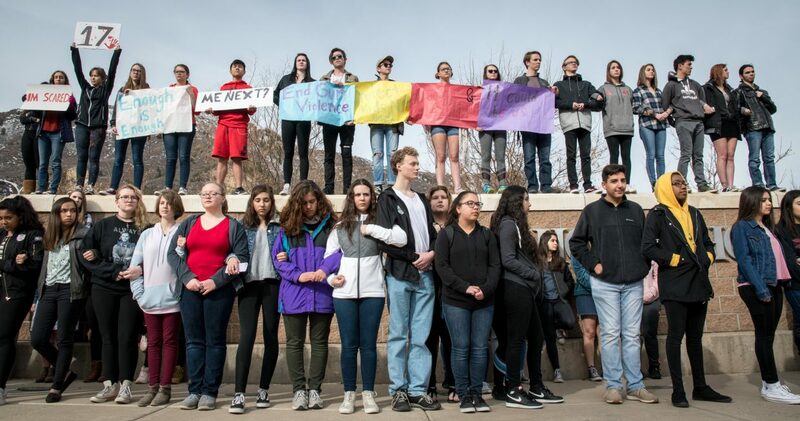 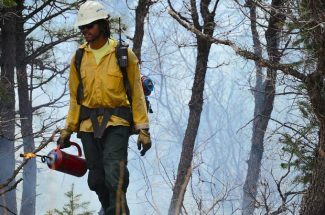 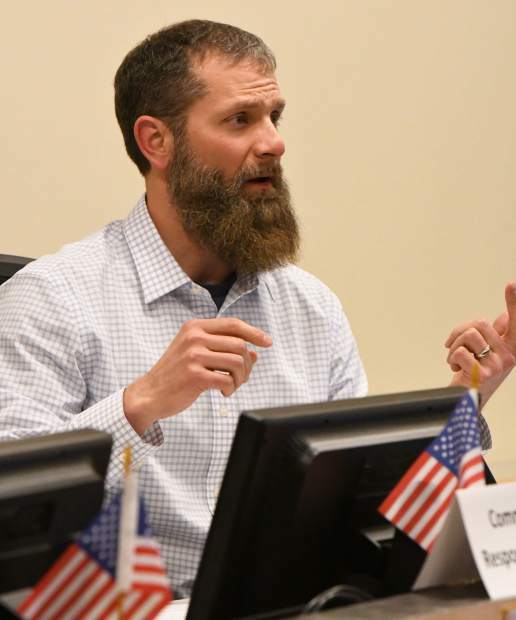 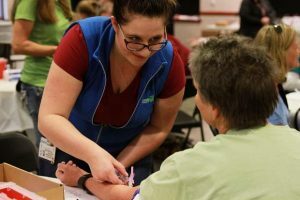 All photos by PI staff photographer Chelsea Self. 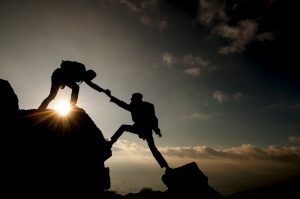 cself@postindependent.com.